... Accuse Embassy of extortion ... 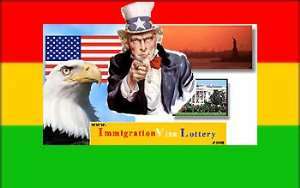 But official says there's lot of fraud Some United States (US) visa applicants have described the procedure of the Diversity Immigrant (DV) visa lottery as fraudulent and an infringement of the rights of ignorant Ghanaians by the US Embassy in Ghana. The visa applicants who stormed The Chronicle offices at Newtown, said the US government, instead of assisting Ghanaians, was rather making big profits from Ghanaians. He said, previously, the embassy made an applicant pay a fee of $200. Only when the applicant had qualified for the visa was he made to pay the visa fee of $100. He reiterated that in the US, when one was going for interview, he would be allowed to hire the services of a lawyer but in Ghana, even when a lawyer writes to the consular, he receives no response. Mr. Bonsu said even though on the visa forms, it was written that the medical examination was supposed to cost $75 (¢705,000), when the applicants attended the prescribed hospital, they had to pay medical bills of about $287 (¢2.7 million). He noted that the regulation stated that qualifications for the visa lottery included a high school diploma or its equivalent, or occupations requiring, at least two years of training or experience to perform for example, book binding, which was required by a state department. He stressed that, however, some of the applicants had been refused visas on the grounds that they presented technical school certificates, while others were refused for the reason that they failed to back their trades certificate with educational background information. Mr. Bonsu said some were refused based on names and signatures which the consular described as misrepresented biographical data. Citing an example, he said he was refused a visa for the reason that instead of writing Emmanuel Osei Bonsu, he wrote Bonsu Osei Emmanuel on the subsequent forms he presented, not regarding his photograph on both the forms and passports. Documents gathered by The Chronicle have revealed that on the forms written to Mr. Bonsu by the embassy, the same mistakes were committed. One of the applicants John Siaw, a draftsman, said he was also rejected a visa when he was asked to sign his signature about five times and when some of them were not the same, he was rejected by the consular even though he had his photographs on the forms. He said even though sometimes the consular claimed that the visa numbers were limited, to their information, before an interview date, the applicant was given a visa number from the State Department so if it was not issued to him within a month of the schedule, it would be sent back to the Department. According to him, since the visa interviews normally took more than eight months, by which time the visa number would have been taken back by the State Department, the consular would reject the applicant with a flimsy excuse. Mr. Siaw urged the embassy to make it known to the public if the regulations had been changed because it was no longer based on their state department regulations but rather, at their own discretion. When the Information Officer of the Embassy, Ms Susan Parker-Burns was contacted, she contended that generally, there had been a lot of reported fraud cases concerning the DV visa application. She noted that some of the applicants did not understand the procedures so they gave the forms to relatives or friends, who eventually filled them with wrong data. Ms Parker-Burns said for diversity visas and all other immigrant visas, fees were paid upfront, because they were based on the U.S. government's estimate of how much it cost to process a visa application. She stated that the fee for diversity visas and immigrant visas was $435 per person and this was the same for applicants all over the world. “Individual embassies do not retain fees collected; all visa fees go back to the appropriate agency in the U.S,” she said. Touching on the scarcity of the visa numbers, she said due to the good performances of Ghanaians in the lottery, these sometimes became scarce. She explained that there were about 100,000 letters sent to people, but only 50,000 visas would be given to the applicants because it was assumed that not all of them would want to travel or qualify to. Ms Parker-Burns continued that towards the end of the year, it was possible that appointments were scheduled around the calendar year, so that there was a certain number of appointments per month, and if the applicant's appointment fell at the end of a fiscal year - from October 1 to September 30 - it would be possible he might not get a visa number. She said that non-availability of sufficient logistics had been a major problem facing the embassy because of the increasing number of people who won the DV visa lottery. She noted that currently, the embassy was working with its offices at Washington in USA to provide more logistics. Dilating on the medical fees, she said medical fees charged by hospitals might not be the same as the fee quoted in the instructions because there were a lot of hospitals in the country prescribed by the embassy and the fees charged by them might differ. She said the fee for the mandatory medical exam and test was about ¢2 million. She urged all applicants who thought they had been treated rudely by the embassy to appeal to the consular section to explain the time and circumstances, for redress.